Shared Collective Heritage will be a focused project of ambitious participatory arts and heritage activity based in NHS Grampian (NHSG) hospital sites. The programme of work is designed to support GHAT’s vision – the pursuit of excellence in arts within healthcare practice, regionally integrated and embedded, nationally recognised and respected. 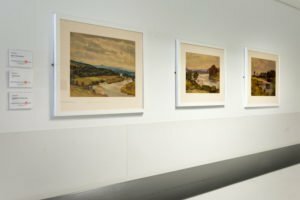 Shared Collective History will preserve and celebrate artistic heritage that connects people and place in the North East of Scotland. The development of our collection of over 4000 artworks is woven through the fabric of the arts heritage of the region. This project will enable us to collect and archive the accompanying cultural narrative that artists within the GHAT Art Collection were so instrumental in forming. 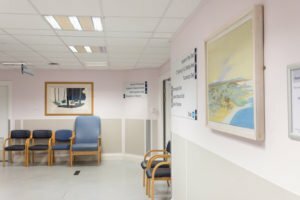 GHAT exhibits these artworks within extremely publicly accessible venues, though we also incorporate arts projects into places presumed to be difficult, for example Intensive Care Units and Emergency Wards. Placing the artwork in intimate and out of the way venues shares and expands the experience of our art collection. It is often the starting point to an individual’s further interest in and deeper understanding of local heritage.